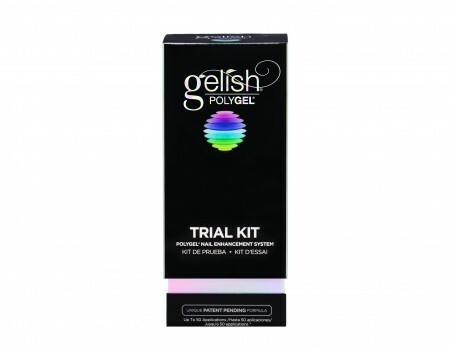 *New application guidance* PolyGel must now be used with Gelish Foundation as a base rather than Pro Bond. This new directive from the manufacturer is not optional. Foundation has been found to be better long term, for the ease of application of PolyGel, longer lasting results, promotes natural nail health, and can be buffed down to 10% with the the option to soak the remainder off. PolyGel is only available to PolyGel trained nail techs. Should you choose to purchase this product without attending training; this would be done at your own risk and without our ongoing technical support. You would be putting your clients at risk, and would not be covered by your insurance. In addition, our insurers will not cover us for advising you how to use it. 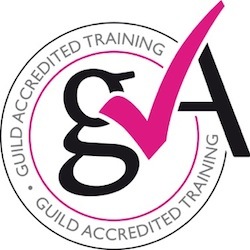 All officially qualified PolyGel Nail Techs will receive a certificate plus this window cling showing that they're an Authorised PolyGel Nail Technician. *Packaging may differ to that shown. 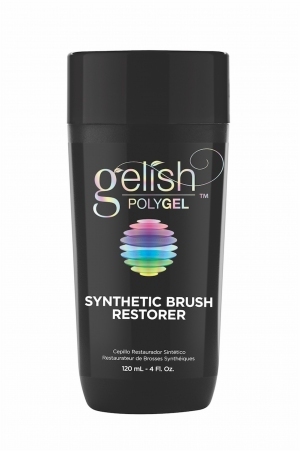 PolyGel™ Brush Restorer revives brushes to help maintain shape and integrity of the bristles ensuring a flawless application. PURE ABS PLASTIC - 100% virgin ABS plastic for maximum durability and longevity. Will not crack and split during wear. VERSATILE - Will fit most nail shapes. PRE BUFFED surface means no shine removal for ProHesion Liquid and Powder applications needed. Must be buffed with a 180 grit file for Gelish Hard Gel applications. NO WELL AREA to give you the option to blend or not to blend depending on the situation, and eliminates color variation. DEEP C-CURVE the full length of the tip to give you a dramatic look no matter what length. Also perfect for the competition arena. 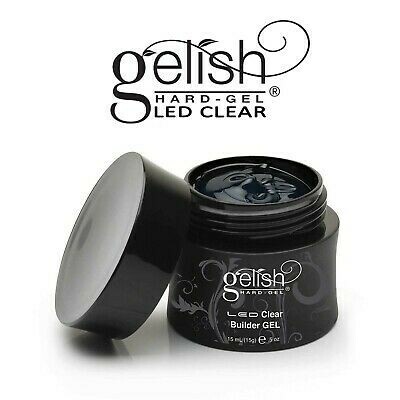 CLEAR - All hard gel and acrylic applications. 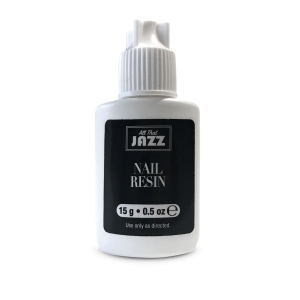 NATURAL - Transparent hard gels and all acrylic applications. WHITE - Transparent hard gels and all acrylic applications. Prepare your nail as usual, Cleanse and apply pH Bond to ph balance and dehydrate. Apply a small amount of Secure Nail Adhesive along the smile line area on the underside of the tip. Rock the tip onto the natural nail and press and hold for 10 seconds to allow the tip to adhere. Trim to the desired length and shape, remove the shine from the surface of the tip with a 180 grit file and blend if desired. Remove the dust, re pH Bond the natural nail only, apply ProBond to the natural nail only and continue with your chosen overlay. period which helps mitigate heat spikes for sensitive clients. 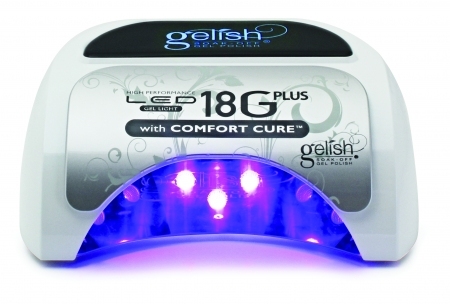 The new LED 18G PLUS with Comfort Cure cures traditional gels 4x faster than UV lights and with Comfort Cure, reduces heat spikes making services more comfortable for all! Other new features of the LED 18G PLUS light are a 60-second setting and improved high efficiency bulbs. The 60-second setting optimizes the new light for flawless curing with PolyGEL® white applications, while the new bulbs save power and increase reliability for an improved LED experience. 1 x Ph Bond, 15 ml. 1 x Foundation, 15 ml. 1 x Top It Off, 15 ml. 1 x Gelish Sheek White, 15 ml. 1 x Gelish Ambience, 15 ml. 1 x Gelish Red Roses, 15 ml. 1 x Artificial Nail Remover, 120 ml. 1 x Nail Surface Cleanse, 120 ml. 1 x Nourish Cuticle Oil, 15 ml. * Please note this kit includes most of the products needed to complete the course you are purchasing but additional products may be required. 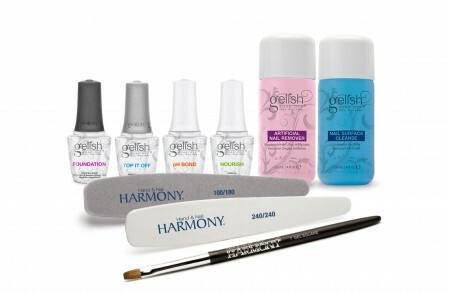 This kit does not include a nail lamp and you will need to supply either a Harmony LED lamp or a 36w UV lamp. Only Harmony LED lamps (available separately) or 36w UV lamps are accepted. Your Educator will be in contact with you to discuss anything else you may like to purchase before completing the course. 1 x Structure Gel, 15 ml. 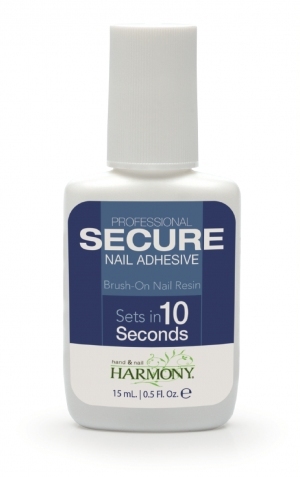 1 x Secure Nail Adhesive, 15 ml. 1 x Perfetto Nail Tips (Clear), 500 pcs. The NEW Gelish Deluxe All Inclusive Package includes everything you need to start using Gelish, just add the Colours of your choice. *Depending on stock levels, you may receive your order in multiple shipments. 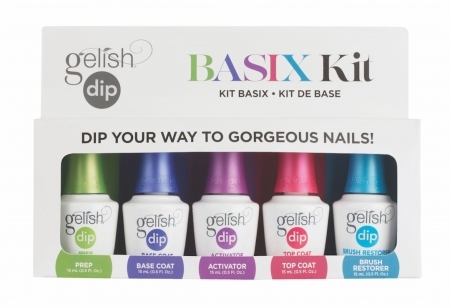 NEW Gelish BASIX Package includes everything you need to start using Gelish, just add the Colours & Lamp of your choice. 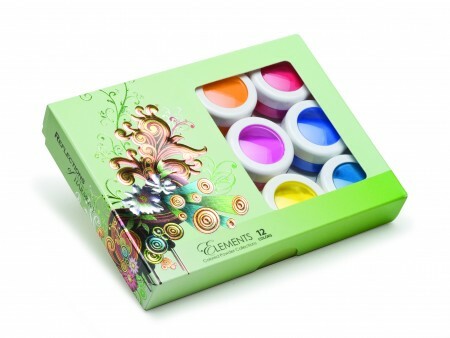 *UV or LED Lamps and Gelish Colours are sold seperately and are not included in the price of this kit. 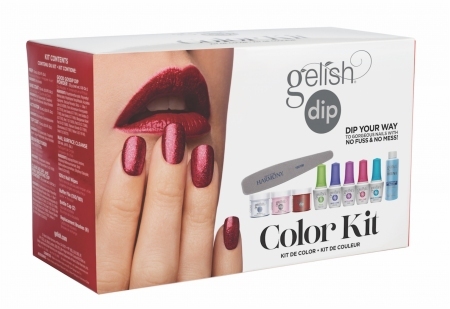 The NEW Gelish Elementary Package includes everything you need to start using Gelish, just add the Colours of your choice. *Not all items are pictured. *UV or LED Lamps are sold seperately and are not included in the price of this kit. The NEW Gelish Intermediate Package includes everything you need to start using Gelish, just add the Colours of your choice. Gelish Dip, for picture-ready, perfect nails every time. 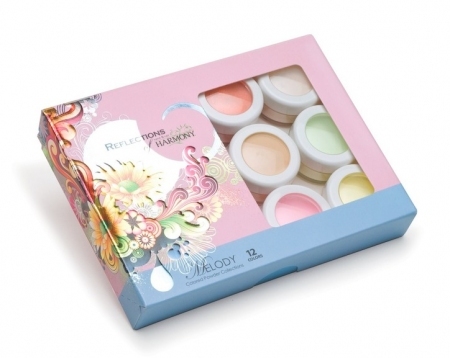 Unlike the dip systems of the past, this new formula is nely-milled for better color clarity. 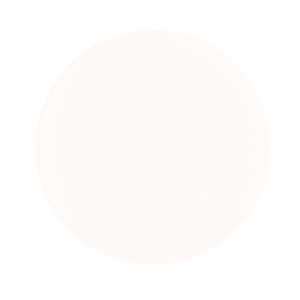 By dipping, you can achieve the most vivid color pay-o and fool-proof pink & whites. Easier and faster to apply than traditional acrylic. Add strength and support to nails for chip free 14 days wear. 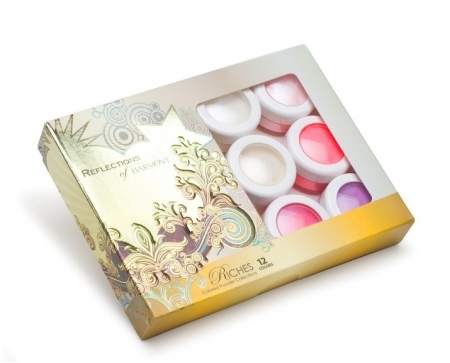 Unlike the dip systems of the past, this new formula is finely-milled for better color clarity. 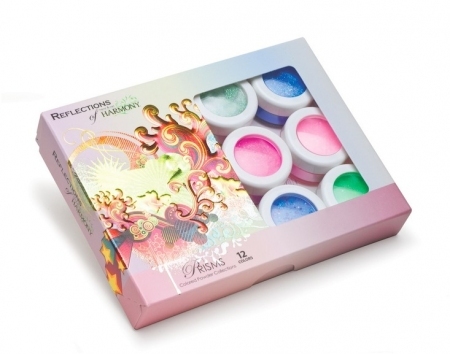 By dipping, you can achieve the most vivid color application and fool-proof pink & whites. Easier and faster to apply than traditional acrylic. Add strength and support to nails for chip free 14 days wear. 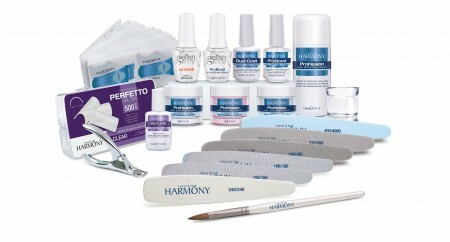 Hand & Nail Harmony Perfetto Nail Forms are designed to fit all nail types. 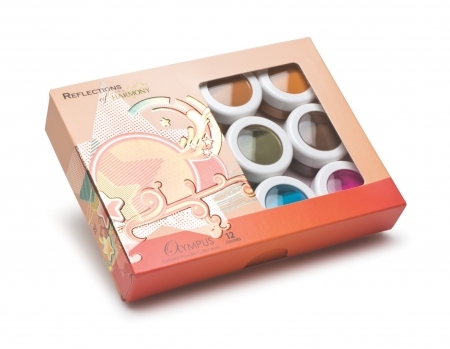 Perfetto Nail Forms are sure to hold in place and provide the perfect fit for beautiful nails. They provide consistent c-curves and have imprinted guidelines for consistent length and shapes. 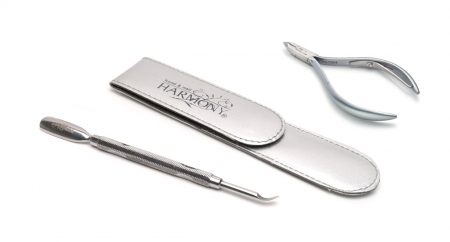 The locking tabs provide a controlled fit on all finger sizes, Perfetto Forms by Hand & Nail Harmony are versatile for all nail types and are sure to make sculpting easier than ever. MEDICAL GRADE cyanoacrylate adhesive for superior purity and workability. FAST SET - Will adhere tips in 10 seconds! BRUSH ON application for precision and minimal wastage. VERSATILE - Can be used as part of a wrap system or used to apply embellishments to the surface of enhancements. Prepare your nail as usual and cleanse the nail plate. Apply a small amount of Secure Nail Adhesive along the smile line area on the underside of the tip. Rock the tip onto the natural nail and press and hold for 10 seconds to allow the tip to adhere. Trim to the desired length and shape, remove the shine from the surface of the tip with a 180 file and blend if desired. Remove the dust, apply pH Bond to the natural nail only, apply ProBond to the natural nail only and continue with your chosen overlay. The Universal Course Kit is for Students who have booked onto the Universal Course. 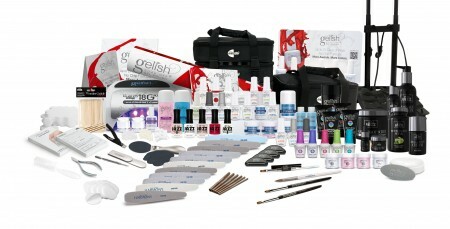 This includes EVERYTHING required for this class, to include ATJ Manicure, Gelish, Gelish PolyGel & ProHesion Products. * Please note this kit includes most of the products needed to complete the course you are purchasing but additional products may be required. Your Educator will be in contact with you to discuss anything else you may like to purchase before completing the course. 1 x Pro Bond, 15 ml. 1 x Gelish Hard Gel White Builder Gel, 15 ml. 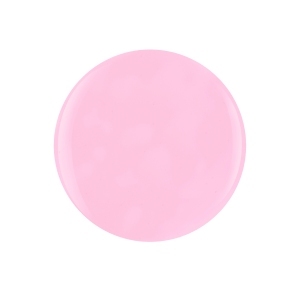 1 x Gelish Hard Gel Cover Pink Builder Gel, 15 ml. 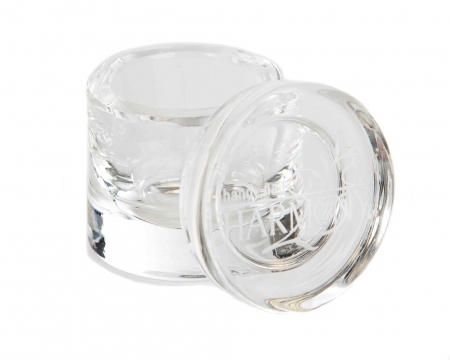 1 x Perfetto Tips (Clear), 500 pcs. * Please note this kit is a basic student kit and includes most of the products needed to complete the course you are purchasing but additional products may be required. 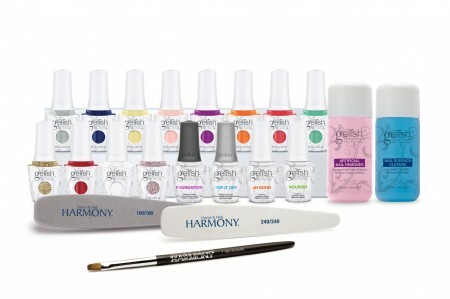 This kit does not include a nail lamp and you will need to supply either a Harmony LED lamp or a 36w UV lamp (N.B. the Pro 5-45 lamp does not cure GHG). 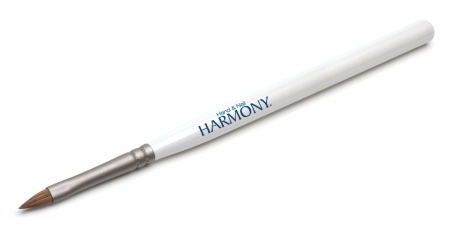 Only Harmony LED lamps (available separately) or 36w UV lamps are accepted. Your Educator will be in contact with you to discuss anything else you may like to purchase before completing the course. 1 x Nail Polish Remover, 120 ml. 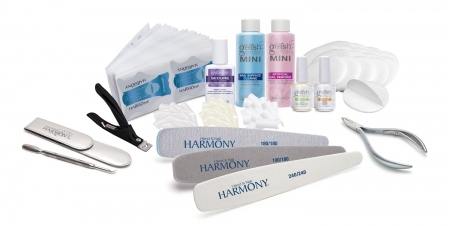 Everything you need for the perfect Manicure & Pedicure, all in one complete kit! A fresh and crisp scented treatment of aromatic russet apple and sliced cold cucum- ber. Indulge yourself in the comfort and relaxation of our APPLE CUCUMBER series of products. The refreshing scent of cucumber brings up memories of sunny days and spring & summer, while the ripe apple aroma makes you feel invigorated and alive. A beautifully soothing aroma of lightly perfumed musk and coconut oil. CAPTIVATE and fascinate with this romantic, sensual, soothing, warming and calming line of products. The refreshing aroma of coconut oil is reminiscent of the tropics and summer, whilst the soft musk aroma takes you to a relaxing paradise. An amazing heavenly aroma of fresh squeezed Californian Orange & Chocolate shavings. CHOCOLATE ORANGE is a pure treasure for the sweet tooth. It’s sweet, delicious and helps you reduce the day’s stress, and its aroma constantly reminds you of its protective cocoa-orange cocoon protecting your skin. Valentino Beauty Dust Extractors are filtration systems to aid the removal of harmful nail dust, gel dust, and acrylic nail odor with the ability to filter the finest of particles. Ideal for use in any salon, spa, or training academy. The machine Utilizes a high quality 293 CFM fan at the source suction. 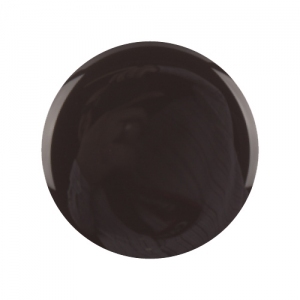 High quality 200% micro carbon filter media that is designed to trap nail and gel dust and absorb acrylic odor. With an adjustable speed control from high to low to set to at your desired level. The high settings are recommended for heavy filing and with the low settings optimal during the normal course of nail application. NOTE: Please be aware that these machines are not designed to remove all traces of nail dust from the desk but will remove the harmful air born dust that could cause harm to the technician and the client. The Valentino Beauty Pure Gen III S has a variable speed control switch allowing you to set the fan to your desired level from low to high. With an ergonomically friendly design for the customer and nail technician comfort it acts as an arm rest by supporting the customers' wrist, allowing the customers' hand to relax and give complete control to the nail technician. the Melody Collection, bold tones from the Elements Collection or earthy shades from the Olympus Collection Re ections will supply your creativity with the colour and e ect you desire, or the capability to design your own unique blend. High-quality, sculpting brush made of premium 100% Kolinsky hair and ergonomic wooden handle for excellent product control. Provides easy pickup of acrylic powder, monomer or gel. 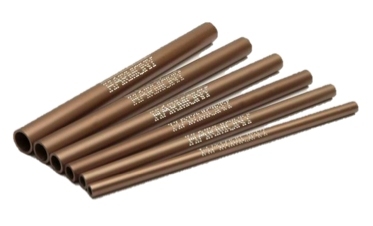 The featured aluminum plated ferrule prevents contamination and insures long lasting performance. 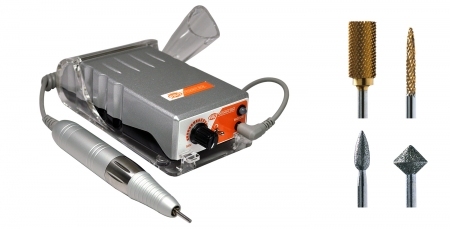 Professional Rechargeable Manicure and Pedicure System The Pro Power 20K is a high quality manicure and pedicure file. Its cordless, rechargeable design allows for convenient portability making it a versatile filing system for any work station. This compact unit clips conveniently to your belt allowing freedom of movement. Carbide Barrel 3/32”Used for gently removing excess product, shaping and filing the nail, shaping the perfect C Curve, and remove lifting and pocket lifting. Use on acrylic and to remove Gel Polish from over acrylic. Diamond Large Football 3/32”Used for preparing cuticles prior to artificial overlays or Manicure/Pedicure. Coarse Tapered Bit 3/32” Used for cleaning under the nail as well as to quickly remove lifting product and air pockets. Helps in defining the smile line. Use on acrylic. Diamond French Fill Bit 3/32” Medium Grit. Used for cutting out a new smile line during a rebalance and removing lifted areas.  Use on acrylic. 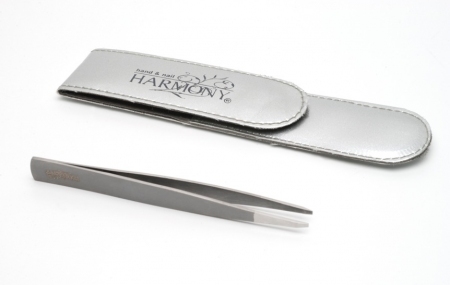 Used for gently removing excess product, shaping and filing the nail, shaping the perfect C Curve, and remove lifting and pocket lifting. 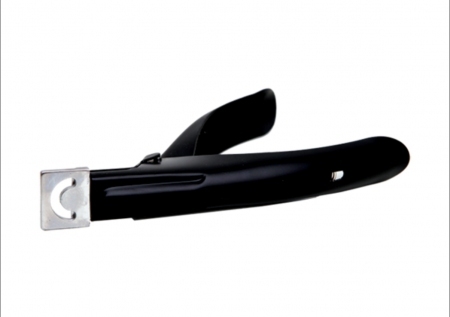 Used for preparing cuticles prior to artificial overlays or Manicure/Pedicure. 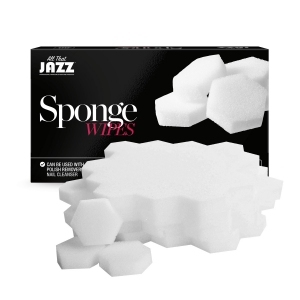 Used for cleaning under the nail as well as to quickly remove lifting product and air pockets. Helps in defining the smile line. Used for cutting out a new smile line during a rebalance and removing lifted areas.